Another significant title update has arrived for FIFA 19, with it available now on PC and in the coming days on XB1 and PS4. Even here, well into January, EA Sports is making considerable adjustments based on feedback to fundamental aspects of gameplay. 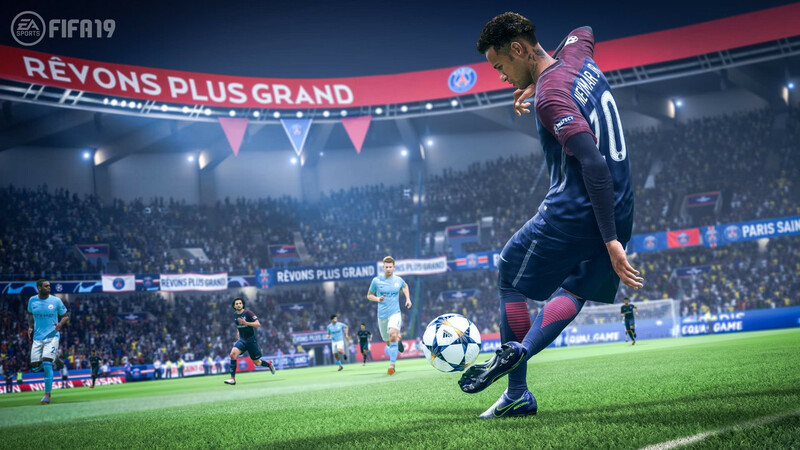 This time those include more improvements to determining the success of shots on goal, changes to goalkeeper movement, as well as a critical Career Mode fix. Since we last addressed gameplay before the holidays, we’ve been looking at player feedback closely to determine changes that would bring more impact to areas we hear about often. There were concerns over Goalkeeper movement and Timed Finesse accuracy, specifically from outside of the box, and we’re hoping changes covered within today’s update bring a welcomed improvement in these areas. Addressed an issue where a timed finesse shot would always have less error than a non-timed finesse shot, even in situations where the timed finesse shot was red or yellow. The level of error reduction for a timed finesse shot is now in line with the level of error reduction for other timed shots. The accuracy of a yellow or red timed finesse shot was found to be too high and has been reduced. This change will impact the likelihood of these shots resulting in goals scored. Maximum size of the Timed Finishing window for a green timed shot is now reduced. The hope for these changes is that it will directly address situations where players were finding it too easy to achieve green timed shots that were coming from a long pass, a cross or when queuing up a shot after a knock on during a run. The impact of this change will scale with a higher impact on shots where the time between the initial button press to take the shot and the button press to perform Timed Finishing is longer. Yellow timed shots effectiveness were reduced for this new update. We received feedback that yellow-timed shots were too often resulting in a goal and adjustments were made to reflect a more consistent outcome where these types of shots are now more likely to be impacted by error resulting in potentially less accuracy, ball speed and ball spin. Reduced the effectiveness of higher powered finesse shots, both timed and non-timed shots. We received feedback that powered finesse shots (both timed and non-timed) were too often resulting in a goal and adjustments were made to reflect a more consistent outcome where these types of shots are now more likely to be impacted by error resulting in potentially less accuracy, ball speed and ball spin. Further reduced the likelihood that a shot which was correctly aimed into the net, and that was targeting a location near to the post, would miss the net in a shooting situation where the attacking player is under no defensive pressure and is not off balance. This change builds further on the change that was made in Title Update 3. Goalkeeper movement speed when being controlled by manual movement was reduced in this patch. The impact of this will be higher when using manual movement during open play and lower when in set pieces situations (corners and free kicks). Goalkeepers will now maintain a ready posture when being controlled by manual movement through the right stick controls. After the last patch an issue with both Manager and Player Careers occurred where players were unable to grow their overall rating and instead was showing as -1 overall in multiple screens. This issue has been resolved with today’s changes. The fatigue reduction that is applied to a Pro Clubs player when it was being controlled by someone locked to a position has now also been applied to the players when they are being controlled by someone playing on ‘Any’.